Nollywood actor, Richard Mofe Damijo and Don Jazzy were last week spotted in Scotland at the amazing scenery of Edinburgh Castle, to understand the art of blending the world’s number 1 Scotch Whisky. The actor shared some amazing pictures on his IG account, also noting that he’s having a wonderful time. 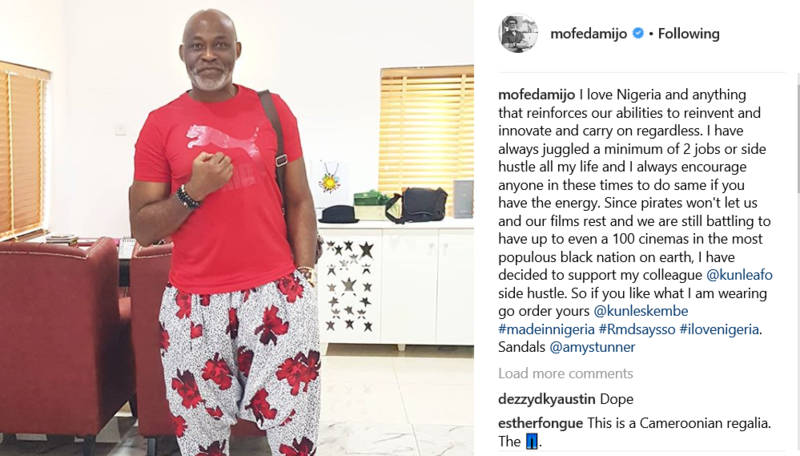 RMD is never shy to talk about his rise to fame, he took to his IG account to share he’s juggled two (2) jobs or side hustle all his life, he also pointed out that piracy is eating the fruits of their labour in the movie industry, as he supports Kunle Afolayan’s clothing business.